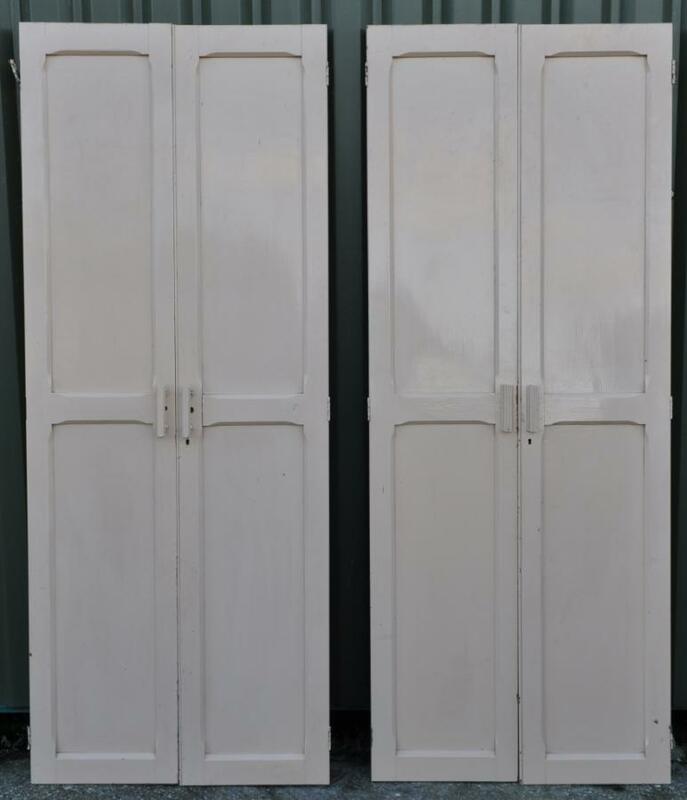 A set of antique victorian pitch pine cupboard doors from a Yorkshire church.There are two pairs of narrower doors(painted on both sides) and 3 pairs of wider doors(painted on fronts,original varnish on backs). All pairs are rebated where they close together. All frames and panels are solid pitch pine. 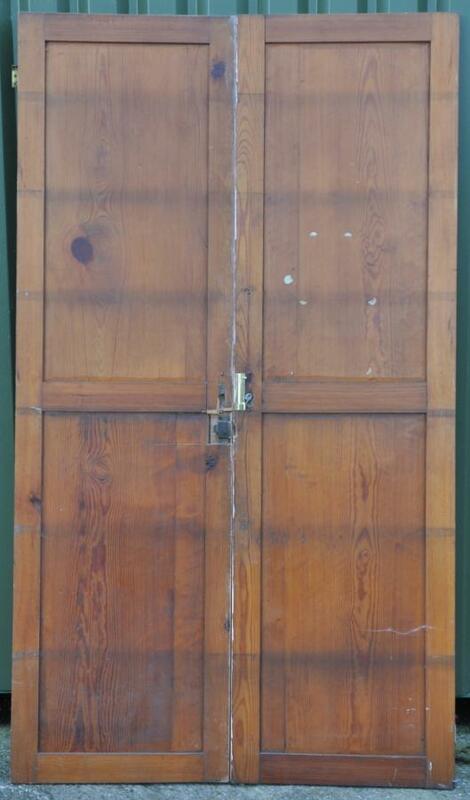 The handles are not original but could be replaced with knobs. 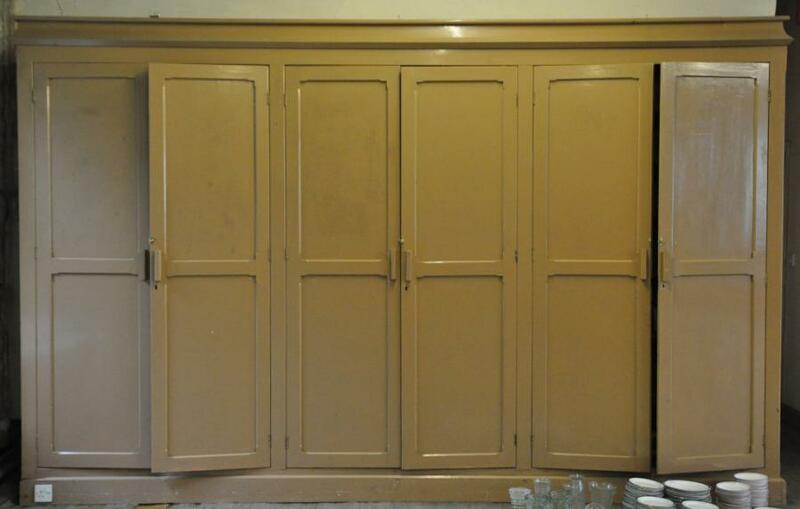 Great for fitted cupboards,wardrobes etc.Good kitchen piece. 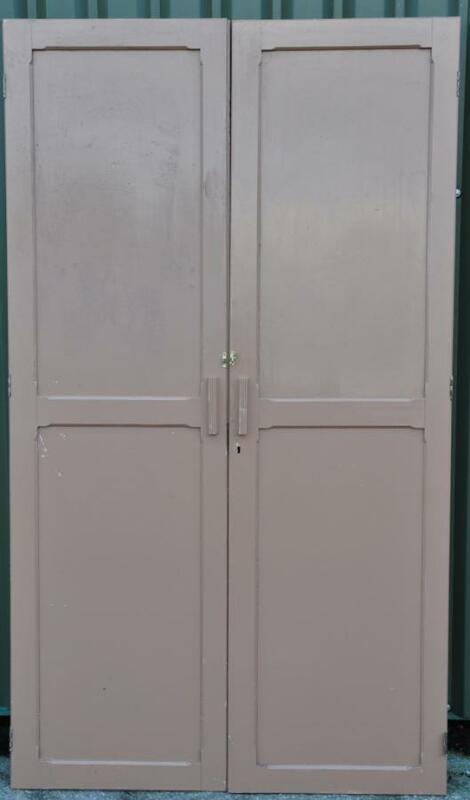 All the doors are the same height and depth/thickness. Dimensions in inches/cms; 83.25/121.5 high x 1.25/3 thick -the two narrow pairs are 33.125/84 wide (ie each pair is 33/84 wide) -the three wider pairs are 47.75/121 wide ( ie each pair 47.75/121 wide) More/bigger photos on request.